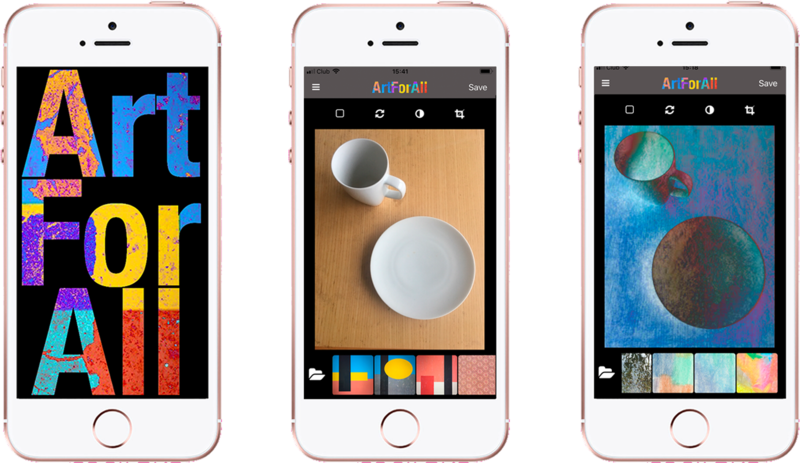 ArtForAll is a smartphone app that blends a photo with a 'digital paint'. New sets of paints are offered regularly and users can also create their own using the camera, download from the Web or design using the CreateForAll app. There are direct links to social media and images may also be uploaded to the app’s own online gallery. As user numbers rise we plan to hold online competitions.